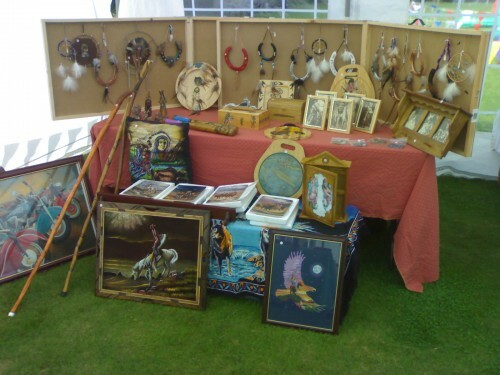 Hi, my name is Steve and I started making various handmade arts and crafts such as dreamcatchers and horseshoes as a hobby about 5 years ago. I constantly make new items and have started designing a full range of handmade arts and crafts items, such as wall plaques, land shields and even tissue box covers. You will also notice I’ve branched out and have a small collection of unique pre-made novelty items. I hope my web site will encourage you to buy your items from my ever increasing collection. Please take your time and browse each category before you decide which one is just right for you and your home. If you are looking for a present for a special occasion then a handcrafted gift really shows that you care. Since my retirement, I make all the handcrafted items in my workshop just outside Caspe in Aragón, Spain. I am pleased to announce that my collection of pyrography items (The art of woodburning) is expanding on a weekly basis. Most of the items in the woodburning category can be made in to a clock too. I am also pleased to announce that I’m trialling some new Jewellery items. If there is something you would like but cannot find it, check out the previous products area – showcasing some items that have already been sold, and then simply contact me and I may be able to design and create you something.